Parma lowlands cradle of Culatello di Zibello, of Strolghino, gardener sauces, traditional sauces, spongate and where Master Giuseppe Verdi lived. 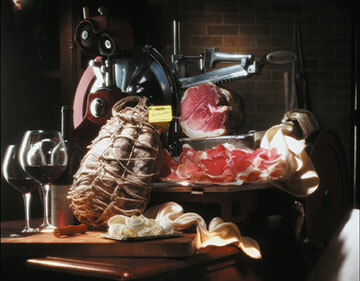 A small world where even an only Culatello’s piece will make you taste the flavors of a land full of music and colors. Arrival in Parma lowlands and visit the multimedia tour in Giuseppe Verdi’s Birthplace. Then visit to a production’s factory of Culatello of Zibello DOP with lunch-tasting in the restaurant near the factory. In the afternoon it’s possible to visit the other Verdi’s places (Giuseppe Verdi Theatre, Casa Barezzi Museum, National Museum Giuseppe Verdi and Renata Tebaldi Museum) in Busseto’s area. Overnight in an old Relais wrapped in an elegant and traditional atmosphere. Visit to a Parmigiano Reggiano’s factory with tasting and visit to the prestigious Soragna’s Rocca Meli Lupi. Stop in a workshop where giardiniere (sauces) are made, traditional sauces, spongate ecc. and demonstration of preparation of fresh homemade pasta to discover small secrets of rezdore. Lunch near Fidenza Village Chic Outlet Shopping. In the afternoon free time for shopping into the famous and fashionable boutiques. Price per person in double room, minimum 10 people: € 118,00. For single travelers, couples, families or groups under 10 people: ask for a customized quotation. 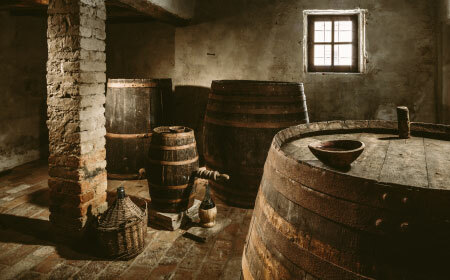 n. 1 night in an old Relais with breakfast, small gift for participants, visit to Culatello of Zibello, lunch in restaurant with beverages, visit and tasting Parmigiano Reggiano, visit workshop, fresh pasta’s demonstration, lunch in restaurant with beverages. guided tours, entrance fees to monuments, transfers, tips and anything not expressly mentioned under “The price includes”.